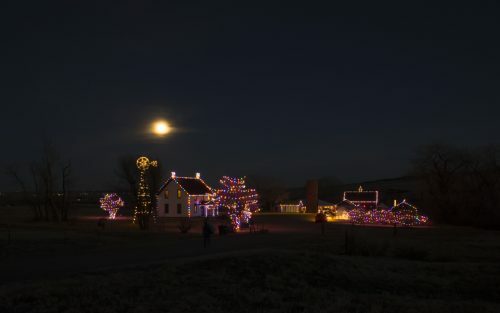 Come and enjoy the display of holiday lights at Schweiger Ranch daily from 5:00-8:00 pm from December 7, 2019 – January 26, 2020. To visit Schweiger Ranch, take RidgeGate Parkway east of I-25 for about 1/4 mile, and turn right on Havana. The entrance to the ranch will be on your left about a half mile down the road.